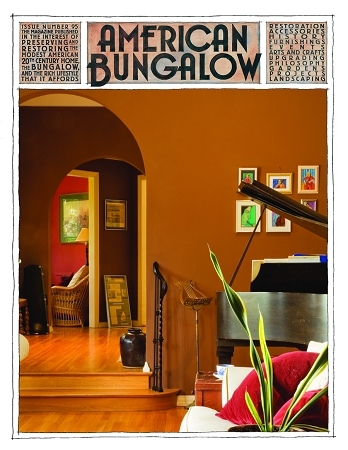 A young family mixes history with modernity in a 1915 bungalow. The multi-faceted career of an Arts & Crafts painter, muralist, engraver, and illustrator. A tour of one of the area's largest historic districts. By Bruce Johnson's World of Arts & Crafts column. when we find the owners! Subscriber copies of Spring 95 will receive two exclusive 8x10 prints from UK artist Jenny Barnish.